AX-SUB28SWC-6V AXXESS METRA / SUBARU RADIO INTERFACE HARNESS w/ SWC & 6V CONV. WRX (withNAV ) 2015. Outback 2015. Legacy 2015. Impreza 2015. Forester 2016. Axxess MITO-01. Amplifier Install Kit. Amplifier Interface Harness. Supplies a digital signal to turn on the vehicles amplifier. for Select 2006-2008 Mitsubishi. For Select 2006-2008 Mitsubishi Vehicles with Rockford Fosgate Factory Amplified System. TheAX-SUBUSB Is Used When You Want To Retain The OEUSB Port On Select Subaru Vehicles (Radio Utilizes RearUSB Input). Subaru Forester 2011-2014. Subaru Impreza 2011-2013. Subaru Legacy 2012-2013. Subaru Outback Sport 2011. (4) These vehicles have a digital amp option. IfSTZ or Y91 is present then the vehicle is equipped with a digital amplifier. (3) These vehicles have a digital amp option. If Y91 is present then the vehicle is equipped with a digital amplifier. 06-UP MITSUBISHI AMP INTERFACE. MITSUBISHI Endeavor 2007-2009. Routan 2009-2013. C/V Tradesman 2012-2015. Chassis Cab 3500/4500/5500 2012. 1500/2500/3500 2012. Raider 2006-2009. Wrangler Unlimited 2007-up. Wrangler 2007-up. Patriot 2007-2017. Wi-Fi Mirror Interface. Cable to Car Audio (Power). Universal design. LR DIS/RR-SPRT w/ MOST25 amp, SWC Retention 04-09. Land Rover. Range Rover Sport 2005-2009(2) (3). ProvidesNAV outputs (parking brake, reverse, speed sense). Provides accessory power. 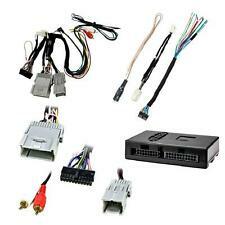 GO TO AXXESSINTERFACES WEBSITE TO CONFIRM THIS WILL WORK WITH YOUR VEHICLE. Routan 2009-2013. C/V Tradesman 2012-2015. Chassis Cab 3500/4500/5500 2012. 1500/2500/3500 2012. Raider 2006-2009. Wrangler Unlimited 2007-2016. GL (X164) 2006-2010. ML (W164) 2005-2011. Provides accessory power. 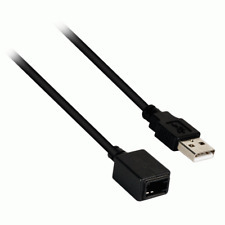 This a 6 footUSB extension cable that allows you to flush mount a femaleUSB on the dash (must drill hole). Male USB to Female USB jack with mount. (3) These vehicles are standard for a digital amplifier. Either use the AX-GMCL2-SWC or bypass the amplifier. Service Parts Identification sticker located in the glove box for theRPO code Y91. If Y91 is present then the vehicle is equipped with a digital amplifier. 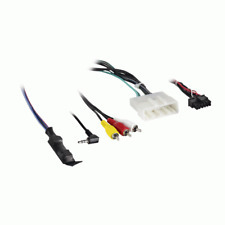 GO TO AXXESSINTERFACES WEBSITE TO CONFIRM THIS WILL WORK WITH YOUR VEHICLE. Sky 2007-2009. Aura 2007-2009. Solstice 2006-2009. G6 2009 (5th digit ofVIN must be a J K or L). G5 2007-2009. Malibu 2008-2012. Lancer Sportback 2014-up. Lancer 2014-up. We are committed to providing you a quality product at the lowest prices possible. • Warranty service will be refused if serial number of unit does not match that of serial number sold by us. High level speaker input. Micro "B" USB updatable. Retains R.A.P. (retained accessory power). Retains the factory amplifier. MITSUBISHI Lancer (2014-UP). MITSUBISHI Outlander (2014-UP). MITSUBISHI Outlander Sport (2014-UP). Specifically for vehicles equipped with a factory Amplified / Premium sound system. Axxess ASWC-1 Universal Aftermarket Radio OEM Steering Control Harness Module . AXXESS AX-FD2-SWC. Provides NAV outputs (parking brake, reverse, and speed sense). Amplifier Install Kit. 2011 - 2014 Edge. 2011 - 2015 Explorer. 2011 - 2013 Fiesta (with SYNC). Designed for non-amplified models. Light Use, NO BOX. Includes Module ONLY! AXXESS RETAIN ONSTAR GMOS-07 GM 2005-06 Condition is New. Shipped with USPS First Class Package. NOTE: This is an accessory from Axxess XSVI-2004 Set (XSVI-2004 NOT INCLUDED). Used, No Box. Includes Module/Interface only! Serial Will Vary. GENUINE AUTHENTIC AXXESS. Mustang 2015-up. Fusion 2015-up. Flex 2018-up. F-250/350/450 Super Duty 2015-up. F-150 2015-up. Explorer 2018-up. Expedition 2018-up. Note: This harness must be used along with theAX-ADXSVI interface. This harness must be used in conjunction with theAX-ADXSVI interface box. Prewired ASWC-1 harness included. High level speaker input. GENUINE AUTHENTIC AXXESS INTERFACE. ( The factory radio must have anAUX input). 4 Series (F32) 2013-2017. 3 Series (F30) 2012-2017. 1 Series (F21) 2012-2017. 1 Series (F20) 2012-2017.